One of the very best things I ate a few summers ago was Spicy Mexican-style Street Corn on the Cob – like you’d find sold from a food cart along the sidewalk next to a park in NYC. 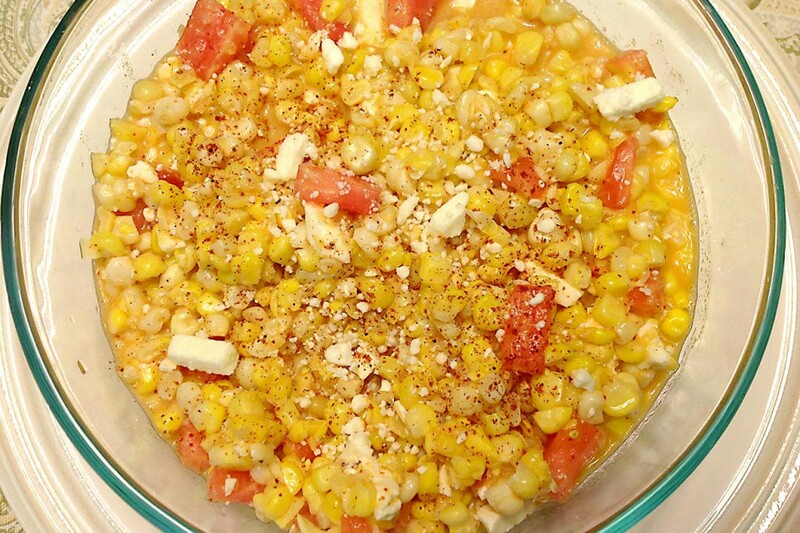 The fresh sweet corn was roasted in the husk, then husked, served in foil topped with butter, lime juice, paprika, salt, chili powder and Cojita Cheese crumbles (like a Mexican version of Parmesan or Feta). The combination was sweet, spicy and tangy all at once. I had never tasted anything quite like this. Needless to say, I was floored. Below is my attempt to recreate some of those flavors. 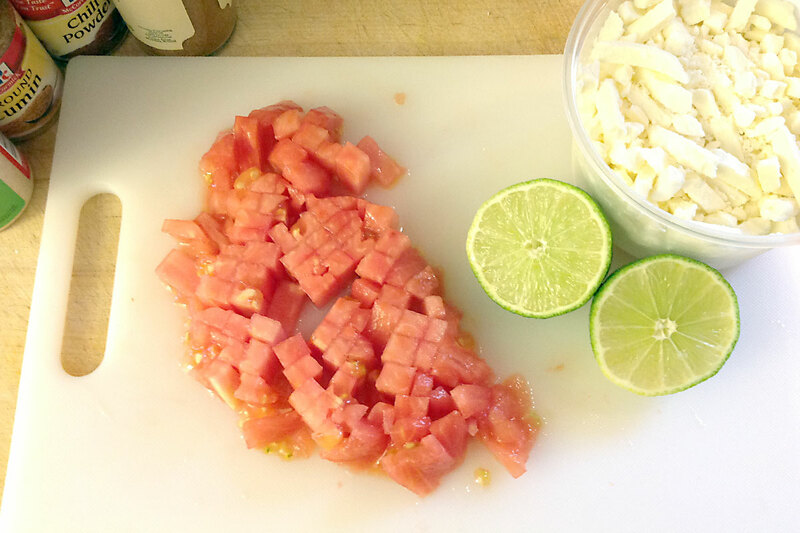 If you can’t get authentic Cojita Cheese where you shop, try substituting plain Feta.